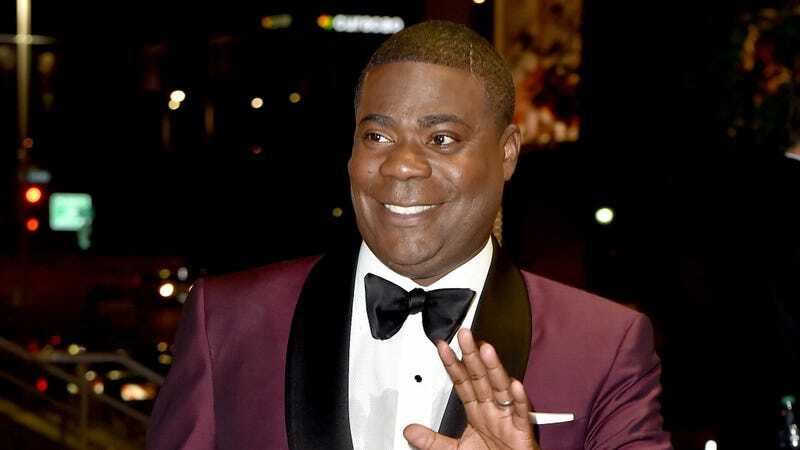 Jolly old Tracy Morgan is steadily returning to form, first with a surprise appearance at the Emmys and now hitting the comedy stage for the first time since his crash. Morgan made jokes about his speech therapy. At one point during his brief set, he even stopped to cough for a minute. “That’s because of the accident,” he joked, followed it up by suggesting that it might also be from smoking too much weed. We’ll get to see more of Morgan (and hopefully Brian Fellow) later this week when he hosts Saturday Night Live.